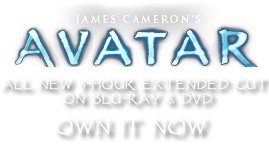 Obesus fenestralis | Pandorapedia: The Official Guide to Pandora | Own AVATAR on Blu-ray & DVD Now! Methane is combustible and highly explosive when it builds to high concentrations. However, because methane is less dense than the air on Pandora, the pods will detach and float off when they enlarge to a certain size. Explosions usually occur after the pods have detached and drifted off, making them relatively harmless to life on Pandora. Taxonomy Obesus fenestralis. Root name means “fat” and “window.” Same genus as puffball tree and puff daddy. Botanical Description Tall tree with single large globular structure produced at top and on ends of branches. Absorbs methane from atmosphere. Ecology Important plant for detoxifying the atmosphere. When globular structures reach maximum capacity they detach and float off into the atmosphere, exploding high above Pandora. Ethnobotany Although they resemble large natural lava lamps they have no known use.